We are all familiar with the amazing backpacks and travel bags that Timbuk2 has produced so far and, the Timbuk2 Wingman Travel Backpack, is no exception. The perfect level between quality and functionality! Essentially, the Wingman Travel Backpack is a convertible duffel bag that’s perfect for a weekend away! If need be, you can simply convert it from a duffel to a backpack by simply extracting the straps and then you have a backpack that sits comfortably on your shoulders. 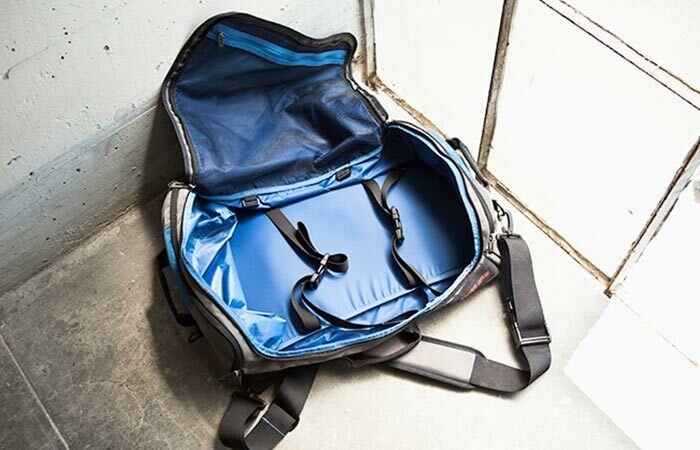 Constructed out of fabric, the Wingman is ready to tackle any trip that you need to take. From a city roam, to a country stay, it’s there to accompany you. The older brother of the original Wingman backpack, this backpack was designed for functionality and ease of use. They managed to do this by designing the pockets so that they simply make sense. Check out the review video below. The main compartment opens widely for easy access and packing, while the bottom expands to demarcate your shoes from the rest of your clothes and the main compartment itself. The main compartment opens widely for easy access and the bottom is expandable to hold your shoes. The straps ensure that all your goods are fastened securely. A small front zippered pocket was designed to hold all of your essentials, such as your wallet, phone, passport, ID or keys. While the secure padded pocket is large enough to house up to a 17” MacBook Pro and an iPad. Of course, it wouldn’t be completely functional if it wasn’t convertible. To do this, Timbuk2 included straps that can be kept inside the backpack. When needed, you can simply convert your Timbuk2 Wingman duffel into a fully functional backpack that sits securely on your shoulders. 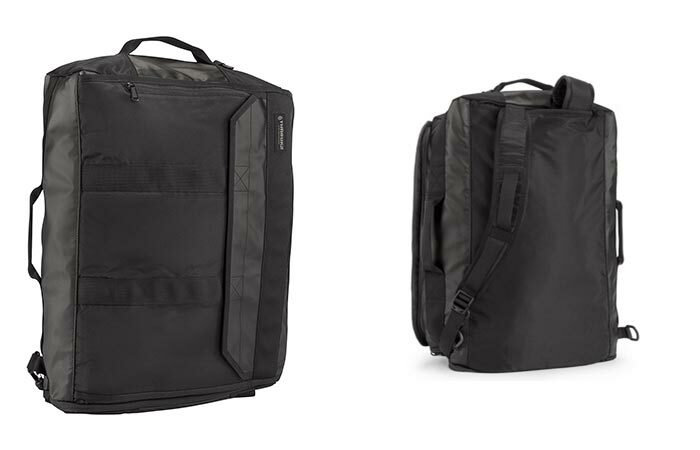 The Timbuk2 Wingman measures in at 20” wide x 17.5” high with a depth of 7.9” and has a shoulder drop of 23”. It’s also pretty lightweight at only weighs 2.2 pounds.